The Kenshikan Dojo of Hokama Tetsuhiro, Sensei (Hanshi, 10th Dan) has long been a great source of information for foreign visitors to Okinawa. Apart from having an incredible museum of karate and kobudo, there are a number of hard-to-get books (and other media) by Hokama Sensei and others available in English and Japanese. Hokama Sensei has long wanted to make it easier for overseas karateka to obtain these books simply, so he has asked one of his students, Chika Azama san, to setup a way to do this. Chika-san has commenced a project called Lequio Project. A selection of books (and later other media) will be progressively added. Lequio Project was established on December 13, 2011 to support HOKAMA, Tetsuhiro Sensei (Okinawa Gojuryu Karate-Do Kobudo Kenshi-Kai) and his dojo. This internet shop is anuthorized by Kenshi-Kai and help Kenshikai with sharing the knowledge on Okinawan traditional karate-do/kbudo and the culture with karatekas abroad through DVDs, books, etc. Project Lequio will initially be managed through the Lequio Project Facebook page, and later a standalone website. Payment is completed through PayPal, and prompt shipping is done through EMS. 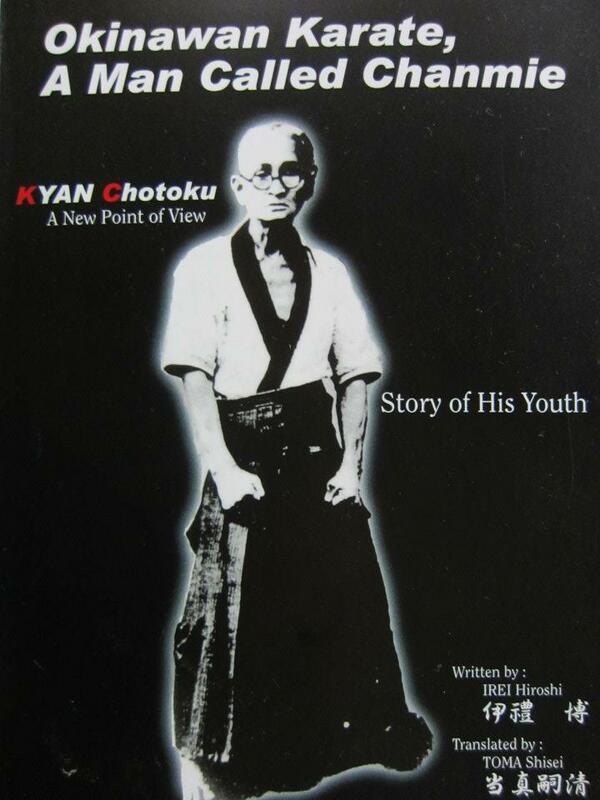 I was the first (test) customer for this, having purchased the new book in English about Kyan Chotoku (review coming soon). The process was very smooth, and the books arrived 2 days after shipment from Japan to my address in Sydney, Australia. Project Lequio is a good way to obtain some hard to get material direct from Okinawa, and in so doing, support Hokama Sensei in his efforts to allow all people to learn more about Okinawan karate and kobudo. This entry was posted in Books, Karate, Video, Weapons and tagged Hokama Sensei, Online Shopping by Des Paroz. Bookmark the permalink.